The administration of the Krasnoyarsk Territory has adopted a resolution prohibiting the cutting of a reindeer's velvet antlers, according to the regional ministry of environment and natural resource management. "The Krasnoyarsk Territory has banned the cutting of a reindeer's velvet antlers," the message reads. The ban will be in force for five years. Considered the largest population of reindeer in Eurasia, it numbers around 400,000, this figure has been going down in recent years. 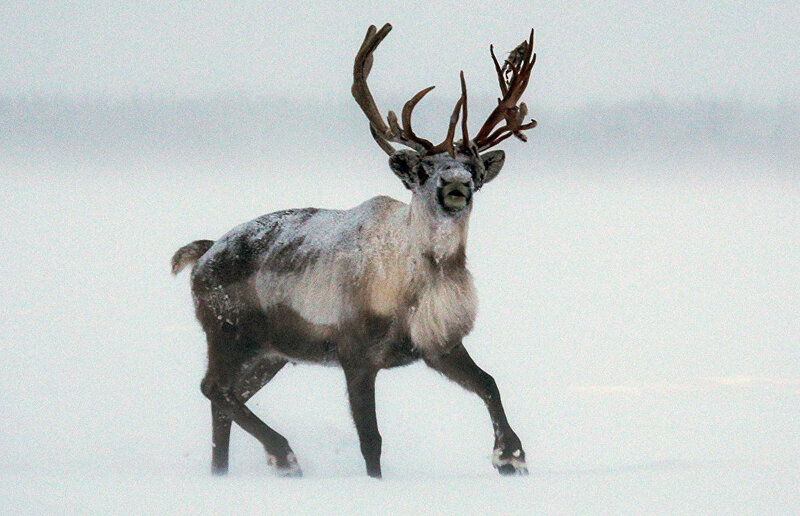 The small indigenous peoples of the territory mainly hunt reindeer. According to the Arctic Agriculture and Environment Research Institute, the uncontrolled cutting of velvet antlers from living reindeer results in 70 percent of the animals perishing. Poachers are most often to blame. Velvet antlers are used in pharmaceutics to produce dietary supplements as well as in traditional medicine. Such supplements are believed to help preserve strength and youth.